Berta Ann Bohn Blagg, 74, of Maumelle passed away on Tuesday, August 15, 2017. She was born in Little Rock on November 7, 1942 to Wanda Kerr Bohn and Herman G. Bohn who both pre decease her along with a brother, T.O. Hagar and her Aunt Rochelle Stephens. 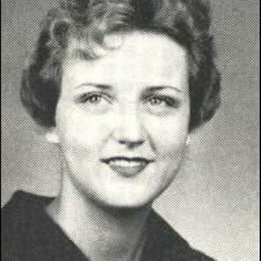 She is survived by her best friend and husband of 54 years, Chancy Blagg of Maumelle; two daughters, Cristi Angela of Atkins and Candi Langmaid of Little Rock. She also leaves the three loves of her life; grandson Chance Blagg of Maumelle, granddaughter Lauren Langmaid of Maumelle, and grandson Lyndon Langmaid of Little Rock. Other survivors are her sister, Sharon Meadows of Greers Ferry, AR; her brother, David Bohn and wife Kathy of Marion, OH; uncle, C.H. Kerr and wife Carol of Hensley, AR; along with nieces, nephews, and a host of cousins, all of which she made every effort to stay in contact with over the years. Berta was self-employed as an accountant and tax preparer taking over for her mother, Wanda Kerr's business when she passed away in 1991. Between Berta and her mother, they had clients dating back as far as 1964 who had become dear friends as well. In 1978 Berta joined the Little Rock Chapter of the Sweet Adelines, later renamed the Top of the Rock chorus. She sang baritone with the chorus for 25 years. She said it was the best thing that she had ever done. Being a member of this organization built a sense of pride and accomplishment. Performing, traveling and building new friendships all through the love of singing. Her quartet, More Than Friends was what the true sisterhood of this organization is about. Sometimes friends become family and she leaves very special friends, they all know who they are. Berta loved life, her family and her extended ''adopted'' family including several ''sons'' and ''daughters'' who affectionately called her ''Momma.'' She will be greatly missed and loved forever. A Memorial service will be held at 3:00 p.m. on Saturday, August 19 at Roller Chenal Funeral Home, 13801 Chenal Parkway, Little Rock AR 72211. Visitation will be one hour before the service, starting at 2:00 p.m.